Free speech is a fundamental human right. Being able to express one's opinions is symbolic of freedom. Since freedom is the cornerstone of dignity, freedom of speech is a fundamental right. basis for the exchanging of opinions and ideas. If we fundamentally own our selves - our bodies and our minds, then we enjoy the natural, fundamental right to think what we want and say what we think. This self-ownership is the axiom on which rests all of our natural rights. Free speech provides the basis for critical thought. Free speech is enshrined as a fundamental right in the traditions and constitutions of many countries. Benjamin Franklin said: "Any society that would give up a little liberty to gain a little security will deserve neither and lose both." Humans have a right to hear others and be heard by others. For example, dogs are allowed to bark, even though they may be a source of nuisance. People can express their disliking publicly but governments cannot limit the ability of the dog to bark. You must separate rights from freedoms. You always have the freedom to break the law, but that doesn't mean you have the right to break the law (laws are generally made to prevent you harming others). Similarly, even if you have the freedom to say whatever you like, it doesn't mean you have the right to say whatever you like, particularly if it harms someone else. Fundamental rights should be limited to those things which are necessary for someone to live in dignity. Expanding the list to things which are merely desirable undermines the value of a fundamental right. Fundamentalism is subjective and so free speech isn't necessarily always a fundamental right. You cannot use your rights to hurt other human beings, no matter if it is in the physical or mental way. Free speech guarantees are a means to an end and not ends in themselves. 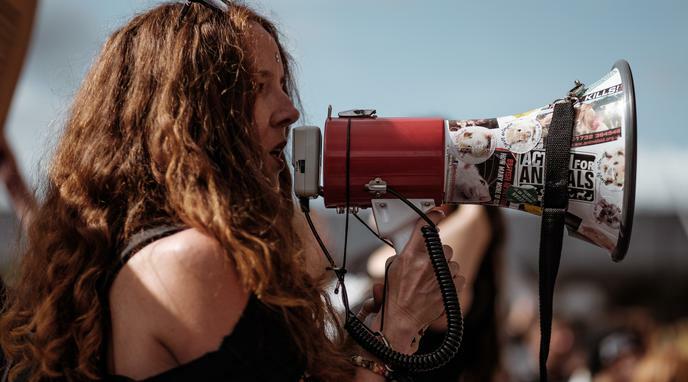 The right to free speech is not a right of the speaker, but is really a right for the audience to freely hear and consider any and all possible constructive arguments. Speech which does not respect the audience's implied rights may be curtailed.